« Looking for the “real” UK? I’ll admit, until now I’ve taken no interest in the campaigns to save Britain’s libraries from closure. Supporters say hundreds are threatened because of cuts in local council budgets. 115 disappeared in the last financial year alone. But the library-loving rhetoric is too often couched in romantic middle class memories of a long gone past. Even those who haven’t been in a library for years wax lyrical about the joys of children’s storytime or the day they first “discovered” a particular book. When reminded that ebooks and internet learning are now popular alternatives, their response is (rightly) that not all homes have access to the web. But providing those additional services at a library simply isn’t enough. Especially as you still have to get people through the door. Long before the current round of cuts, a Parliamentary inquiry said public libraries were a “service in distress” . The cost of running the drafty Victorian buildings was going up, the number of books being issued was going down. 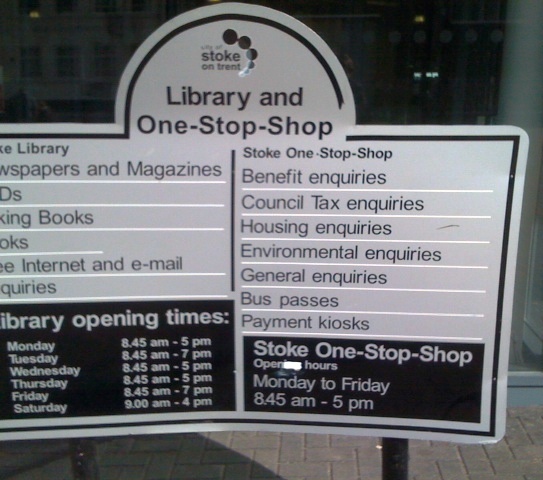 Stoke-on-Trent’s Local Service Centre and Library says it’s reversed the trend. 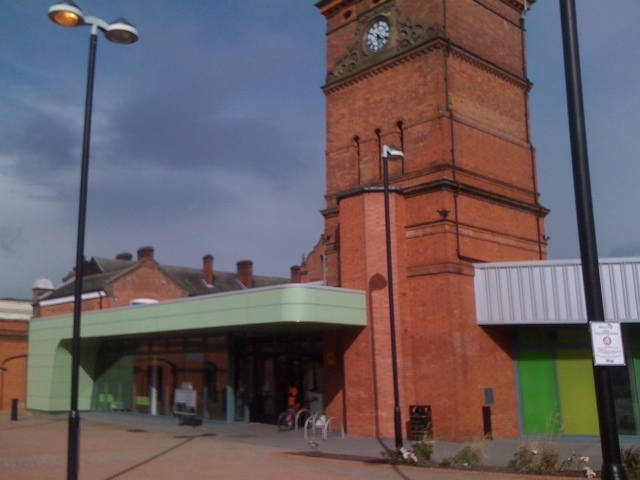 Stoke was once the centre of a thriving pottery industry. With those jobs gone for good, it now comes high on national lists of deprivation and you can feel it on the streets. Charity shops compete for customers alongside endless discount stores and numerous fast food outlets – and we’re not talking about the big chains. (My favourite, “Aladdyn’s” hedges its bets by serving American fried chicken, curries, baltis – and fish and chips). And in the middle of all that is the library, an eco-friendly conversion of the old market building that opened in 2009. Library membership has increased by 1,200 since then and it’s not hard to see why. The big, bright space has lots of seating tucked in amongst the books. Computers are arranged in circular hubs to one side, and there’s a separate area with computers for children and a “quick email” point. But more importantly, at the back of the library is a door into the offices of the Public Health Information Service and at the front is the one-stop-shop for all council and other official services. 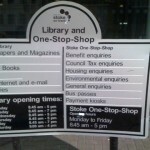 For housing benefit, council tax, local enterprise schemes and job training – you go to the library. So while you wrangle over some tedious local government form or talk to someone about a possible job, your kids can look at the books. Or perhaps having come in for a council service, you might be tempted yourself to have a nose around the shelves. Suddenly the often elite world of literature and learning is truly accessible to all. And for those of us used to books but not benefits offices, we get to see as a matter of course a different side of our community – not just the claimants but the Council workers offering the services for which we pay. I have bad news for the romantics: there’s no reverential hush in this library, only the gentle hum of people going about their business in a clean, airy and truly communal space. Now that’s a library worth saving. Perhaps what is missing is a small tea shop or coffee bar.